Driving down the road no 4 from Cracow to Tarnów, 8 km past Brzesko there is a place Dębno. In there are the signposts to the castle. The castle stands in the place of the wooden-earth defensive residence built probably at the end of the XIIIth cent. by the komes Świętosław from the family of Griffins. The subsequent owners of the estate became the Pobogowies, and in the middle of the XIVth cent. the Odrowążowies. 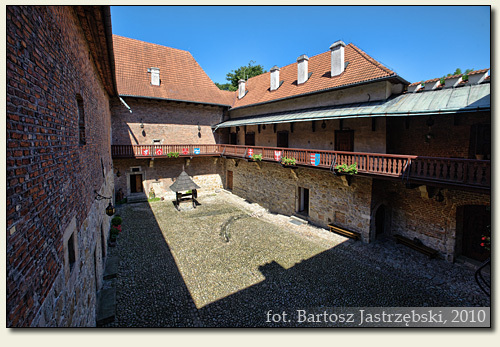 The building of a wooden castle was initiated and funded by Jakub Dębiński of the Odrowąż coat of arms. In the years of 1470-1480 the castle received the form, which we see up to this day. In the next centuries the castle was being enlarged many times and was changing its hands. These were, among others, a Hungarian family of the Wasselini, and then the Tarłowies. 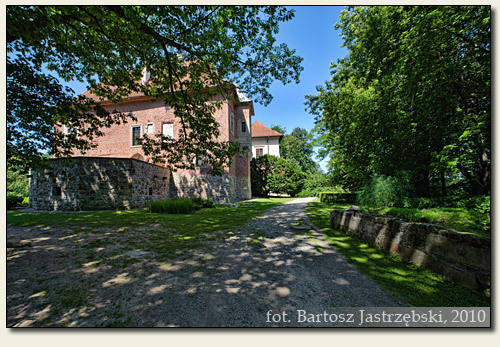 In 1759 the castle became the property of the Lanckorońskis of the Zadora coat of arms. At the turn of the XVIIIth and the XIXth cent. 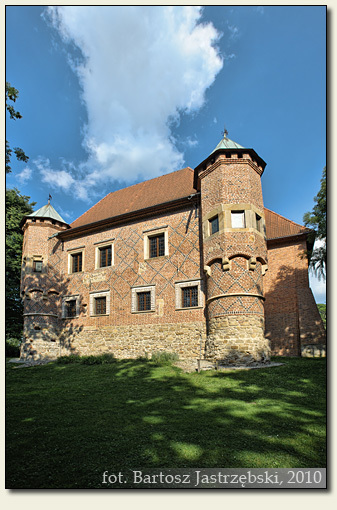 the castle belonged to the Rogowskis, and later to the Rudnickis. 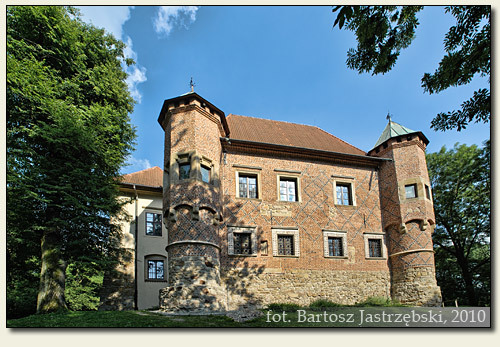 In 1831 the then leaseholders of the building, the Spławskis, harbored the fugitives from the November Insurrection in the castle. 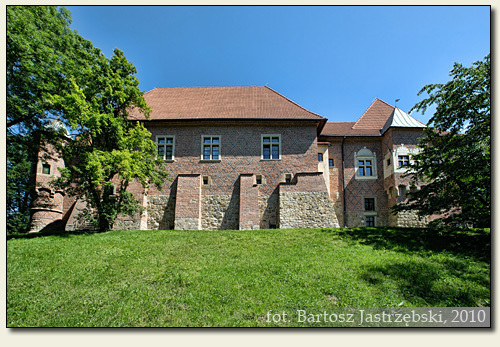 In 1835 the castle became the Jastrzębskis’ property of the Ślepowron coat of arms. In 1945 the castle came under the rule of the country and in the years of 1970-1978 was restored. Since 1978 it has been the residence of the branch of the Regional Musem in Tarnów.